This delicious, quick, and easy dinner idea is sponsored by SeaPak Shrimp and Seafood. All opinions are 100% my own and may differ from yours. I will only endorse companies, products and services that I believe, based on my own experiences, are worthy of endorsement. I was looking at my Google calendar Sunday night and couldn’t believe how full the month of April already is… and it wasn’t even April, yet. Now here it is just the third day of April and I’m overwhelmed with all the things I have to do this month. Between my blog, my son’s school, extracurricular activities, and doctor appointments (for myself and my son), it’s crazy. I’m also trying to fit in as many trips to visit my brother every month as possible. At least it’s hump day. If I can just get through Wednesday, then I only have one more day until the weekend is here. The last thing I have time for today is planning, preparing, and cooking dinner. 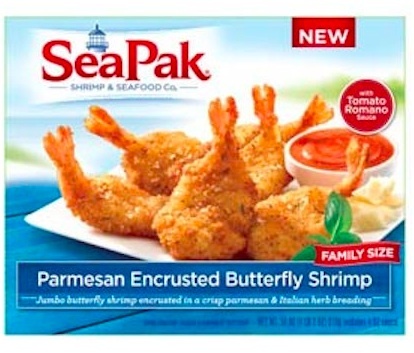 Thank goodness I keep some SeaPak Parmesan Encrusted Shrimp in the freezer. Last Wednesday I roasted some brussel sprouts in a little olive oil, salt, and pepper and made some dirty rice to go along with the Parmesan encrusted shrimp and had a delicious, healthy, and quick dinner. My son, the picky eater, loved the shrimp. Another #MomVictory in the kitchen thanks to SeaPak. I think this evening I’m going to make a pasta dish to go along with the Parmesan encrusted shrimp. 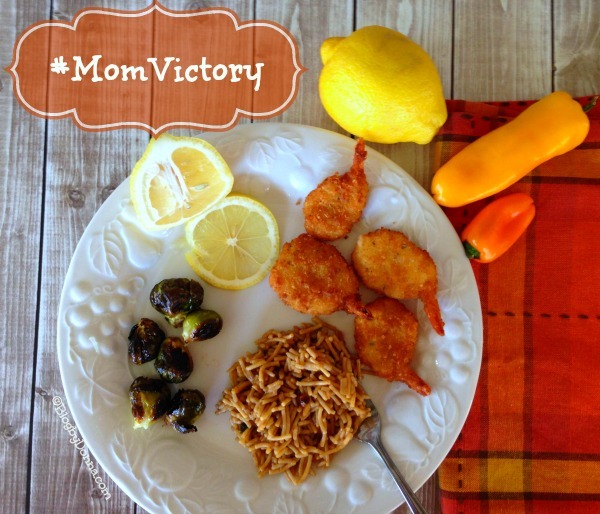 I highly recommend SeaPak Parmesan Encrusted Shrimp, I guarantee it will give you a #MomVictory in your kitchen, too. And it is… all about the little victories. The smart people over at SeaPak understand how hectic and crazy we busy moms have it, and they want to make things easier for us. SeaPak is currently running a promotion called #WinOnWednesday. Check out the SeaPak Facebook page on Wednesdays in March and April and check out opportunities to win coupons and other prizes. Just enter via the Rafflecopter form below. Giveaway ends April 16 at 11:59 pm EST. Open to U.S. residents only. Good luck! That shrimp is something I would love to try! Shrimp and crab are the two seafoods I eat, I am not a huge fish fan. Mmm… I love shrimp, so I would also love to try the shrimp spring rolls. I might not be able to share. I love their shrimp but have never seen the Tempura Shrimp.Sounds delicious! I love breaded shrimp & rarely get a chance to have them. It’s definitely a way to pull together a pretty fab meal but do so easily! Shrimp is just about the only seafood/fish tyoe of food I’ll eat and those look wonderful! These look yummy! My daughter loves Shrimp. I’m allergic but seeing all the seafood posts lately make me wish I wasn’t. Breaded Shrimp is the best way! This looks amazingly delicious! It’s been along time since I have put any in my cart at the store and it’s long over due! I always keep easy yet delicious go-to dinner options in our freezer for those hectic days or forgetful moments. Adding a few Seapak items would be a great idea for our family! I love shrimp — but I ADORE SeaPak Shrimp and I seriously can’t get enough of them. They’re perfect for po’boy sandwiches, yum! Jumbo Butterfly Shrimp, 9 OZ. A few hush puppies on the side, and that girl would be smiling from ear to ear! It’s definitely great way to make a fab meal! I’d like to try the Parmesan Encrusted Butterfly Shrimp. Those shrimp looks so good!! I would love to try some parm shrimp! Yum! 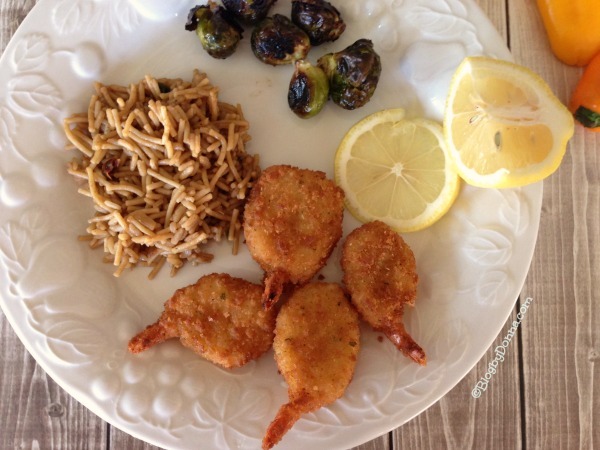 The breaded shrimp looks yummy! Have been dying to try the Tempura Shrimp, YUM! We have their popcorn shrimp all the time, but I would love to try the tempura shrimp. I love fried shrimp! So yummy. The only way I eat shrimp is if it’s popcorn. I need to not worry about the tail and not have a huge mouthful of it at once. Yum, what a tasty dinner! Would you say that shrimp is a good snack to have whilst sipping on whisky?